For the animals and for the increasing exigency from their owners there is the need to have a clean, functional and pleasant internment area, therefore we have the following solutions. The good old “classic” stainless steel cages are reliable, everlasting and clean looking and are the most hygienic, functional and mobile solution. All insides are round for easy cleaning and manufactured with 1,2mm thickness prime stainless steel sheet. The new model are supplied with hinge supports, polypropylene partition for reduced noise and easy to assemble screws. Supplied with a frame within witch the door works to hide possible flaws in the masonry finish and to ensure the door proper work and durability. 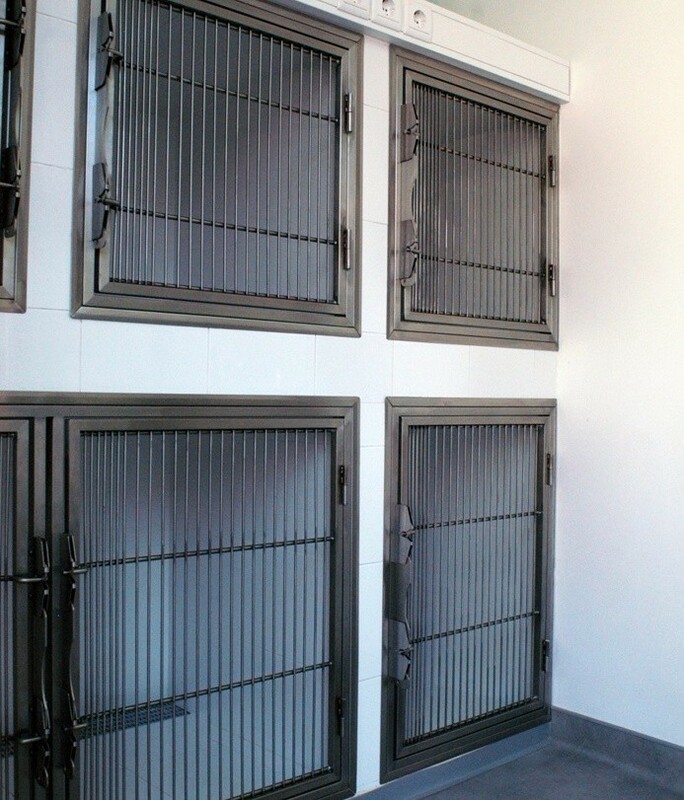 Same door system as the stainless steel cages, all manufactured in premium stainless steel. 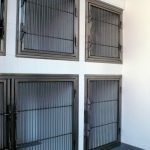 Dog kennel doors for masonry application or self mounted (with laterals and dividers). Same lock as the stainless steel cages but reinforced structure with stainless steel pipe to withstand the possible impact of larger dogs.